The Enigma Machine cost me about 10 Enigma Codes, so I’m teaching you how to beat it. Wolfenstein 2: The New Colossus has a great deal of content that gamers won’t realize is there until several hours into their journey. This content takes the form of Uberkommandant missions that task William Blazkowicz with hunting down and killing high-ranking Nazi officials. To locate these officials, you must first play a mini-game on the Enigma Machine. If you fail, you’ll lose the Enigma Codes you wagered. With 16 Uberkommandant missions that cost a varying number of Enigma Codes, this can be a problem. After you unlock access to the Enigma Machine, visit the Tutorial section that can be found with your Weapons, Perks and the in-game Collectibles. This will give you a brief explanation of the mini-game that pairs well with the walkthrough I’m going to give you. Once you’ve picked the Uberkommandant that you want to locate you’ll enter the Enigma Machine mini-game. The timer starts immediately so you must be ready to solve the puzzles before you begin. There is no practice round, and you lose the Enigma Codes you wagered if you fail. The first thing you’ll see is two sections. One section will be on top and one section on the bottom. Each section will have two rows of symbols. The top section of symbols is your example, and the bottom section is what you’ll manipulate to match the top. In addition to two rows, each section is also made up of five columns. The top section will have the far-left column highlighted when you begin. The bottom section that you will manipulate will have the center column highlighted. Your goal is to make the symbols highlighted in the bottom section (the middle column), match the symbols highlighted in the top section (left column). After you correctly line up the symbols you input your answer to move on to the next column in the top section. This will be the column to the right of the last. Once again, you must move the symbols in the bottom section so that they match the newly highlighted column in the top section. You repeat this process until the mini-game is complete. Once you’ve matched everything correctly, you’ll unlock the location of that Uberkommandant. If you exit the Enigma Machine and head back to the War Map, you will have the option to plot a course for that Uberkommandant and begin your assassination attempt. 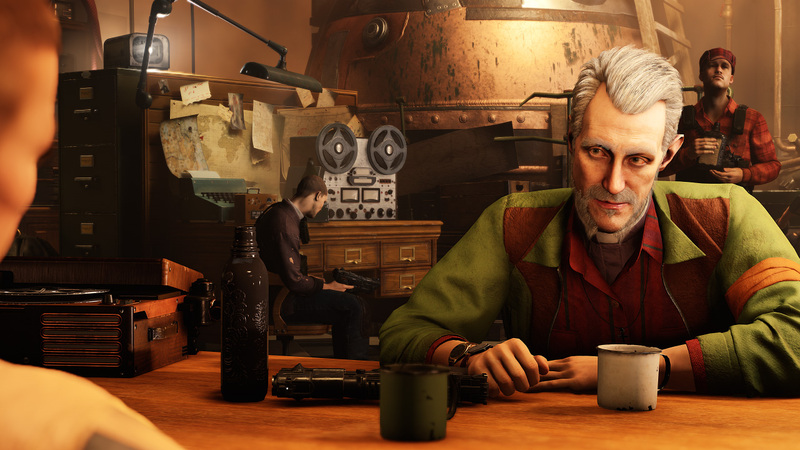 Now that you know how to beat the Enigma Machine mini-game, head over to our Wolfenstein 2: The New Colossus walkthrough and guide for more helpful information.